Established in 1993, Associated Plastic Components Ltd are market leading specialists in glass reinforced plastics and architectural mouldings. 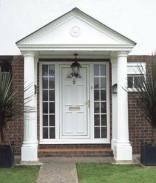 We manufacture a range of architectural products such as bow canopies, over door canopies and porticos with plain or fluted columns. 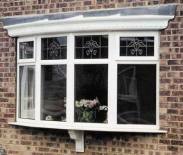 We also manufacture bespoke porch roofs, conservatory roofs and many other general moulding products to customers own design specifications. We produce high quality products from our factory that is 25,000 sq ft capacity with the latest technology. We have full ISO 9001 Quality Assurance accreditation, and all our building products carry a full 10 year guarantee against manufacturing defects. 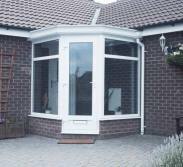 We supply to major building & double glazing companies, local councils, independent contractors, and members of the public. Don't worry, we will be glad to deal with any enquiry for new products. Call us on the number shown to speak to our helpful sales staff.